In 2005 my young family made a big move to a new state. We had no job, two friends in the entire area and were clinging to God’s promise that not a single sparrow falls without His knowledge. Trusting Him to care for our every need, we continued in an interview process for a part-time pastoral position in a local church. Mere days after our arrival and the night before my oldest daughter was to start Kindergarten, we met with church leadership for one of several interviews. That was the evening I met my flock of sister-mamas. The elders and their wives shared a BBQ and then the “men-folk” went off somewhere quiet for my hubby’s formal interview. I carefully tried to remember each woman’s name and the husband with whom she belonged. Becky’s home had just sold and she was moving nearby. We had both just survived the crazy housing market. Stephanie possessed a gentleness to which I was immediately drawn. Kim served the church as a compassionate counselor. Gail shared my love of thrift-shopping, most definitely a solid foundation for our future friendship. Candy was a labor and delivery nurse, and I just LOVE people who work with pregnant mamas. Linda ministered to women, which was my deep passion. Elaine and Annette were vibrant and engaging and hospitable and, well, just plain cute. Kathy was the church secretary and recorded everything at elder meetings with care and discretion – a gifted listener. Bernietta was on the search committee and gave the firmest hugs that warmed me to my toes. ALL of them were mamas. Some of them, recent empty-nesters, or a few short years from launching their chicks. None of us could have foreseen the challenging year that lay before us that warm summer evening. Yet what comes most readily to my heart when recalling this season is a deep gratitude to God for placing these beautiful women in my life. In the following months and years, each of these women made room for me in their hearts. They “mothered” or “grandmothered” me tenderly during a season when I was away from “home” and needed their nurturing encouragement. Some day in the future, when my own babies have flown the nest, testing their wings, and by God’s grace soar into His future for them, I want to follow the lead of these sister-mamas. I hope, like them, I will pause to reflect on my years with the busy, hungry, precious brood that God’s allowed me to nourish and prepare for flight. And then, may I wipe away the inevitable tears and re-feather my nest to welcome younger sisters who might just be in need of some motherly affection, guidance and love. 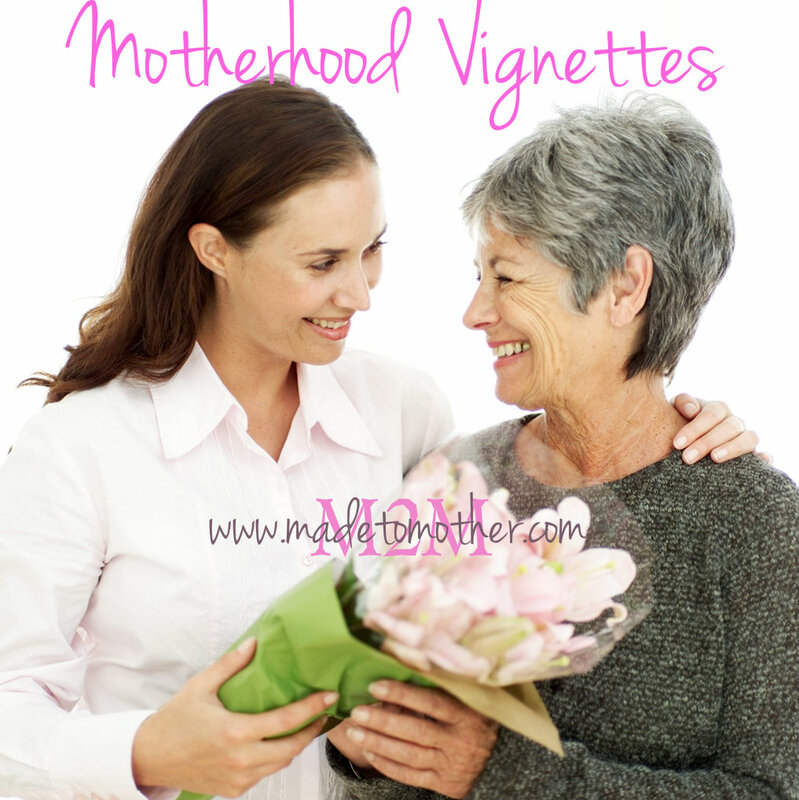 Do you have one or a few “Empty-Nest Mamas” that stepped into a mothering or sister role for you when you were far from home or just needed that kind of relationship with an older woman that WASN’T your own mom? Please feel free to share about it or them in the comments and give them thanks this Mother’s Day week! I’m glad you liked Rachel’s tribute vignette! Thanks for stopping by M2M and I hope you’ll come back again! Happy mother’s day! This is beautiful! A lovely way to pay tribute to mommas even if they are at the other end of mothering. I am an empty nester but have realized that “you never stop needing your momma” and treasure the moments that I can foster a mother’s love in younger mom’s whom I come in contact with. Visiting you from Wedded Wednesday! I LOVE the way you put that! Amen! And have a happy mother’s day!